The entire Marvel movie universe unites, once and for all in Marvel’s Avengers: Endgame. Assemble your team to battle Thanos and restore the universe! 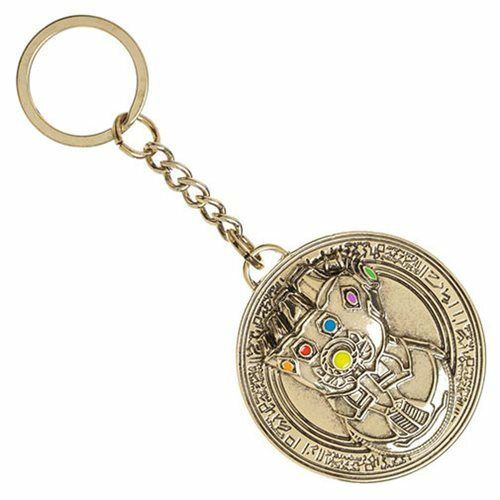 This Avengers: Endgame Infinity Gauntlet Key Chain is perfect for your keys, bag, and more. Ages 14 and up.